Take the family to this year's Melbourne International Flower & Garden Show from Wednesday 21st to Sunday 25th March 2018. Our last visit was back in 2015, we loved it so much and still have fond memories of the day so we thought we'd share some pics. Families will be greeted this March by The Welcome Garden before walking through the floral wonderland of vibrant colour, bold blooms and perfumed petals filling the Great Hall. Witness the next generation of Australian designers when RMIT fashion students create visually stunning and technically brilliant plant-based garments. Architecturally designed cubby houses, floral wonderlands, roving live entertainment, face painting, kids' activities and hands-on gardening workshops; the countdown is on for mini gardening gurus and floral friends! Kids are encouraged to get their hands dirty in the worm farm and veggie patches as part of The Diggers Club 40th anniversary celebration. Enjoy workshops on beekeeping and building chook sheds amongst the abundance of heirloom fruits, plants, vegetables and the iconic gardening club’s beloved pumpkin installation. Enhance or complete your garden with the fantastic choice of plants, flowers, products and more from retail exhibitors. 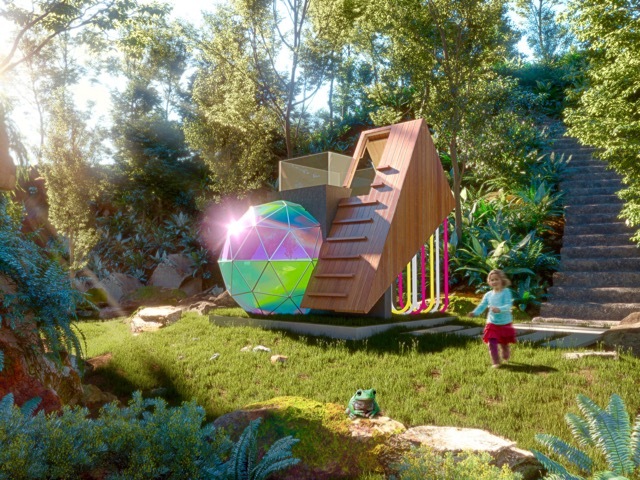 Kids and adults alike will not want to miss the Cubby House Challenge® - the annual auction of cubby houses created by leading Australian design and architecture firms. Coordinated by the show’s official charity partner, Kids Under Cover, all proceeds go to the charity’s youth homelessness prevention programs. The Melbourne International Flower and Garden Show is on from Wednesday 21st to Sunday 25th March 2018. The show will be open from 9am to 5pm daily at the Royal Exhibition Building and Carlton Gardens for the exception of Friday 23rd of March until 9pm for Gardens by Twilight. Adult tickets are $29.90, Concession tickets are $25.90 and Children 14 and under go FREE. For more information or to buy tickets, head to the Melbourne International Flower and Garden Show website.